GREECE AND WORLD: She came, saw and left! The theater of the absurd was played out today in Athens. 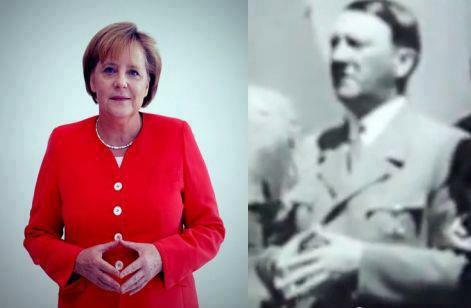 The responsible of the destruction of Greece, German Chancellor Angela Merkel came to give support to under-dialysis (dissolution)- Samaras government . Also came in the context of contemporary Goebbel propaganda in a time where we expect the worst financial measures against the Greeks from World War II. Within this communication show, the Greek government is trying to overshadow the social Armageddon in which will throw the Greeks, with the "success" of the Merkel visit and support on the government from the Chancellor. And believe me, this disgraceful performance will become believable by those to whom it is addressed. And I mean those who will mainly suffer, pensioners and employees. Especially retired people who are willing to be persuaded and to catch any excuse that will ensure their ravaged pensions and they constitute the largest part of the aged Greek population . Certainly not missing is the symbolism of this performance. 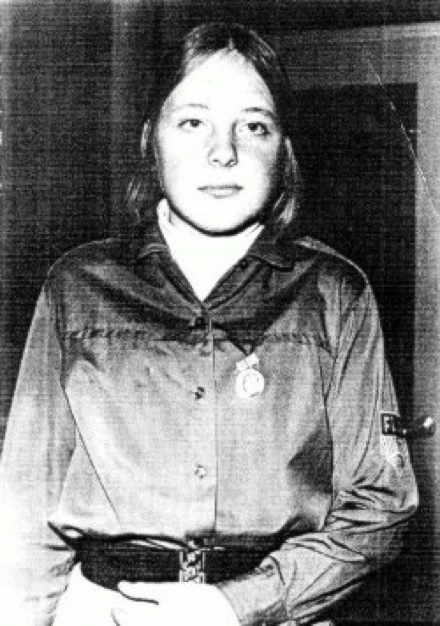 The declarations of allegiance to the Greek (;) prime minister, the 7000 policemen and the declaration of martial law, which prohibits the gathering in areas where the "boss" will stop or will pass in conjunction with the hegemonic performance of the Chancellor easily refer to occupied area, refer easily to the third Reich days! What confirms the above is the day. This Day on October 9, 1944, just three days before the German occupation forces leave Greece, Athens was bombed, leaving 6 dead and dozens injured. Irony? Coincidence? Planning or hoax? 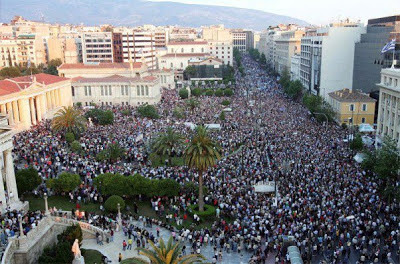 The situation in Greece is very difficult. 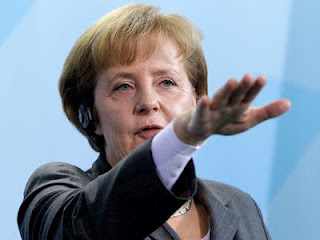 The Germans decided to support the crumbling Samaras government and prevent undesired -for them- situations in Greece. The worst they could expect is a government which will not be controlled such as for example a Tsipras government who leans to the other side of the Atlantic. However -now AGAIN- we lost the opportunity. We missed opportunity to stand up. To rise up us as Greeks not only by descent but mainly because of international circumstances which give tremendous advantages in Greece, which holds a geostrategic position of growing importance. The developments in the Middle East, the financial conflict between the United States and Germany, the very good relations with Russia, which sees Greece with much interest because of what is happening in Syria and the possible loss of the naval base, the most intimate relationships with Israel that EEZ and joint research for hydrocarbons and natural gas, and utility of Greece for the interests of China, which sees us as their ticket to the European market, all these together make Greece a very serious player in the global chessboard, a role which the puppets of Merkel, the dependent, trapped in the nets of German agencies, Greek politicians renounce every day, and the Greeks are paying the price! The greek political system is so addicted and trapped by the Germans, who know all their wrongdoings, they prefer to participate in the genocide unfolding than to "burn" their pelt! Quite the contrary i would say, day by day they are becoming harder and hopefully with the help of the "boss" will remain "clean" since any way and every way for reaction from the people will be vanished. Within this frame moved most major media of Greece, which are controlled by people who, in such situations, find enrichment opportunities. Along with them the state media, which showed us the current "inspection" of Ms Merkel as the happiest days of modern Greek history ! While Samaras - Merkel closed agreements with the business "elite" of the two countries: bankers, pharmaceutical, industry, etc. The real world was beeing bombarded by chemicals from the repressive forces of the New World Order and the 4th Reich. Most images of this battle that unfolded on the streets of Athens were shown in the foreign TV networks! I'll close with a prayer. As at October 9, 1944, the Germans bombed for the last time the city of Athens and left. I hope the visit of the representative of the 4th Reich and the New World Order in our city after 68 years, to be the beginning of the end of them! P.S.1: Οf course for war reparations and the Occupation Loan Germany owes Greece (Hellas) not a word! P.S.2: The Stern magazine estimates the war reparations at 370 billion euros!